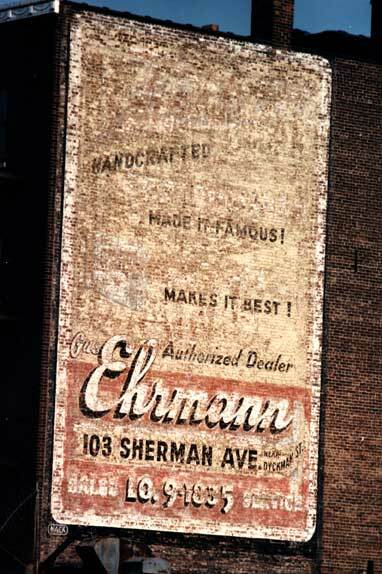 This sign is located in the Inwood section of Manhattan not far from the original Mack Sign Co. (at 4844 Broadway near Academy St). It was painted by Harry Middleton in the 1950s. There is a "sister" sign on the back half of the same building, considerably faded, with Dumont at the top (overpainted? ).